While having to address the issue of America’s least-loved comedian (sorry, Jeff Dunham) is always a huge bummer, at least today’s news offers some sort of step in the right direction. According to Vulture, both Fordham and Marquette University have revoked the honorary degrees they had awarded to Bill Cosby. This is reportedly the first time either university has annulled an honorary degree. And while you might wonder why the schools waited until now to take this step—given that almost the entire world cut their associations with the comedian months ago—waiting until classes were back in session, and students could be present for the decision, likely gives the action more weight. Fordham had awarded Cosby the degree for his role in “breaking the color barrier in American television and popular culture” and for being an “inspirational figure.” In annulling the honorarium, the Board Of Trustees released a statement saying the decision was unanimous, and that his actions were “unambiguously dishonorable,” and “beyond the pale.” Marquette’s president Michael R. Lovell and Provost Daniel Myers also distributed a statement making similar comments, saying, “Mr. Cosby engaged in behaviors that go entirely against our university’s mission and the Guiding Values we have worked so hard to instill on our campus.” Vulture has the full statements. 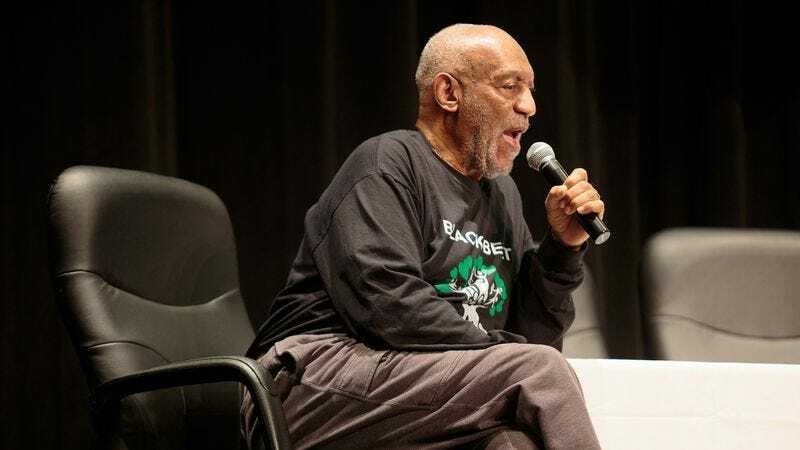 Cosby’s next deposition is set for October 9, meaning The A.V. Club’s next installment of “Today In Oh, Dear” can be expected shortly thereafter.